How is it already September?! I feel like this summer literally went by in a blink. 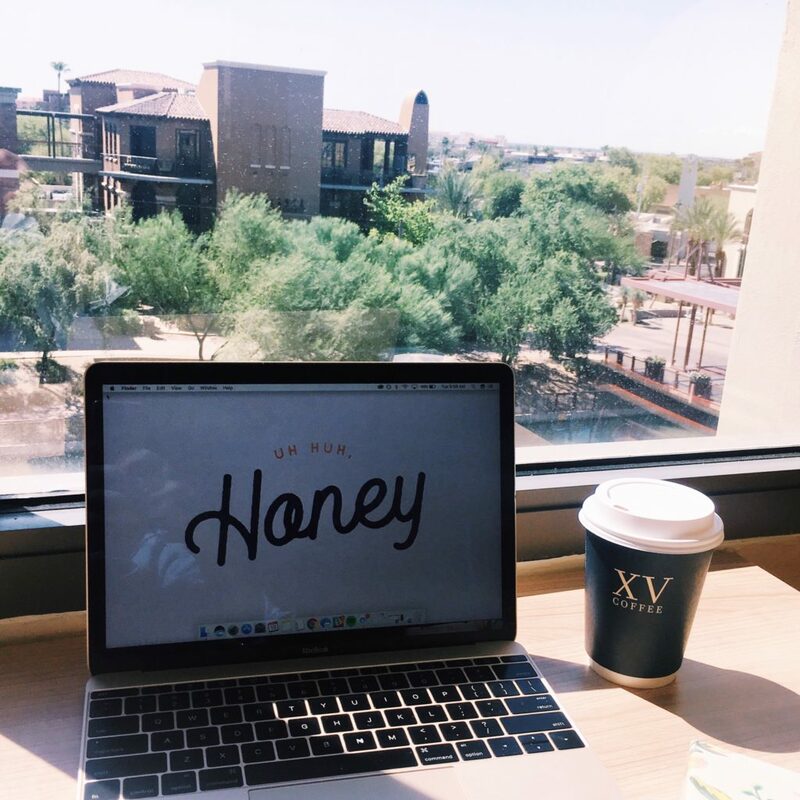 Before we know it the holidays will be here and Phoenix may even start to cool down 😉 For my post today, I wanted to share my experience working at DeskHub (a coworking space in Scottsdale, AZ) for the past few months. I’ve always been interested in trying out a co-working space, but as I have a full-time job I didn’t have the chance until my office started allowing us to work remotely on Tuesdays. 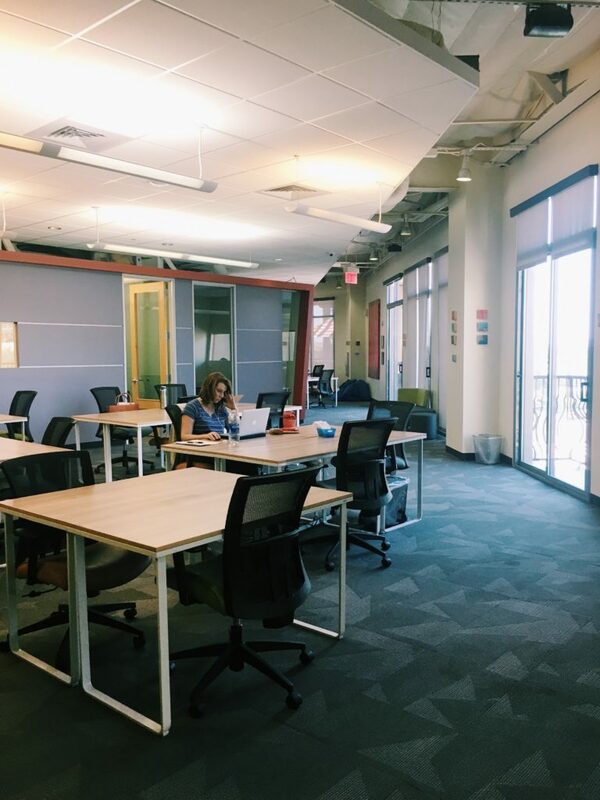 This gave me the chance to finally check out DeskHub (it’s the closest to my house in Old Town Scottsdale) and see what all the hype is about these coworking spaces. 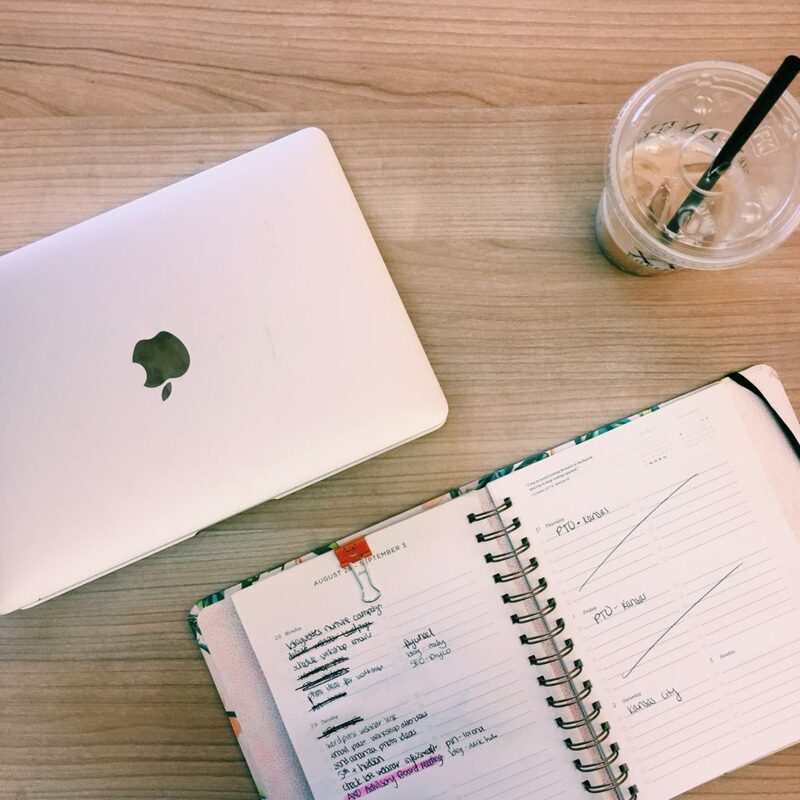 Aside from loving the space, I also discovered a few things about working from coworking spaces that helped me to be more productive. Compared to working from home, it was SO much easier to knock out my to-do list. No laundry that needs to be done. No TV shows to catch-up on in the background. 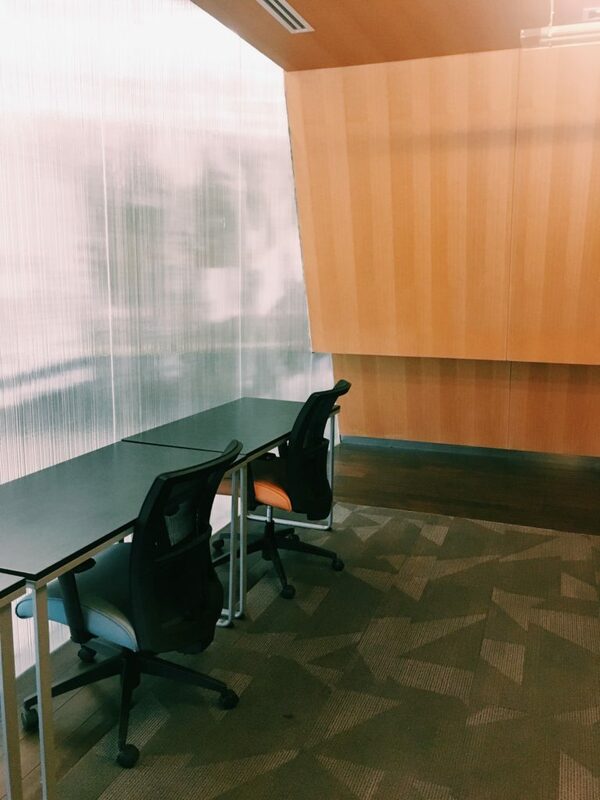 DeskHub had a quiet but collaborative environment that made it easy to focus, but also didn’t leave me feeling guilty when I needed to jump on a call with a client. I usually would bring my headphones and listen to podcasts while I worked, but some days it was nice to hear the hustle & bustle of the other freelancers and entrepreneurs in the surrounding space. Even if I was just there for a few hours, it was really easy to get sh*t done. One thing that has always worried me about freelance life is what to do when a client want to meet at my office (aka… my desk in my living room lol). The great thing about DeskHub is they have tonsss of meeting rooms of different sizes that you can reserve if you need privacy for a conference call, a meeting with a client, or just need to zone out. The whole office is clean, has plenty of easily assessible outlets, and has a generally quiet atmosphere, so I felt comfortable holding meetings. 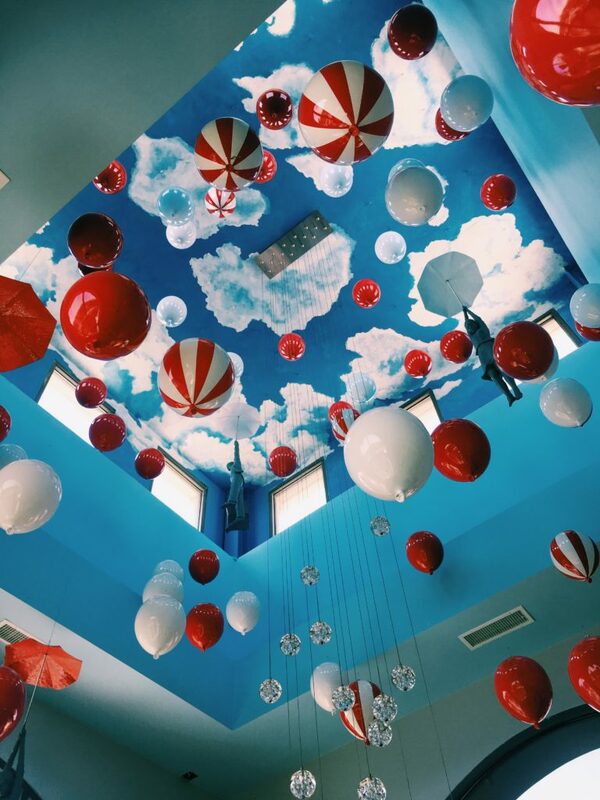 The “balloon room” meeting space ceiling. Is it embarrassing that my roommates and I have been living in our house for over 2 years and we don’t have a working printer? lol. Maybe it’s a girl thing, but we ran out of paper and ink a while ago and just haven’t replaced either. In my case, hearing about the free printing (b&w obvi) at DeskHub was a miracle haha. They give monthly members the option to send their mail to DeskHub (it works like a P.O. box in a way) and they have FREE. COVERED. PARKING. Plus, there’s free wifi (obvi). 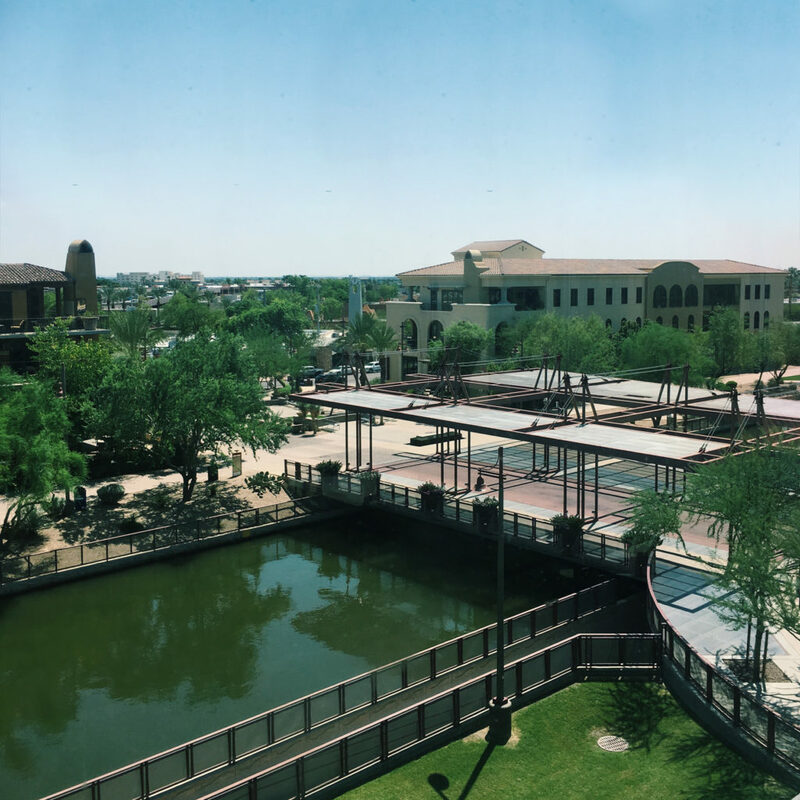 While being close to home was the #1 deciding factor for a co-working space for me, I found I loved that DeskHub (located in the Scottsdale Waterfront Area by the mall) was close to so many restaurants and shops. 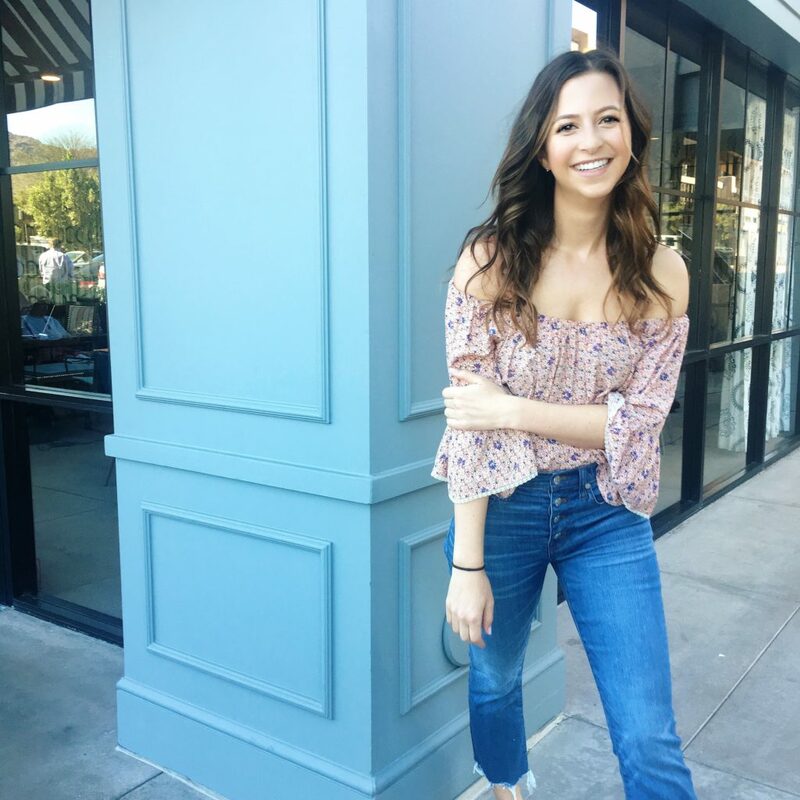 I could go downstairs and grab a latte from Olive & Ivy, sneak to Nordstrom on my way home, or book a blowout at Primp & Blow (didn’t do it….but I could have haha). Plus, the views of the canal from the office are amazing and definitely beat the views from my desk at home. Most days I could even see the fish swimming around all the way up from the third floor. Need I say more? lol. On my first day at DeskHub, I was given a tour and the kitchen was a huge selling point. 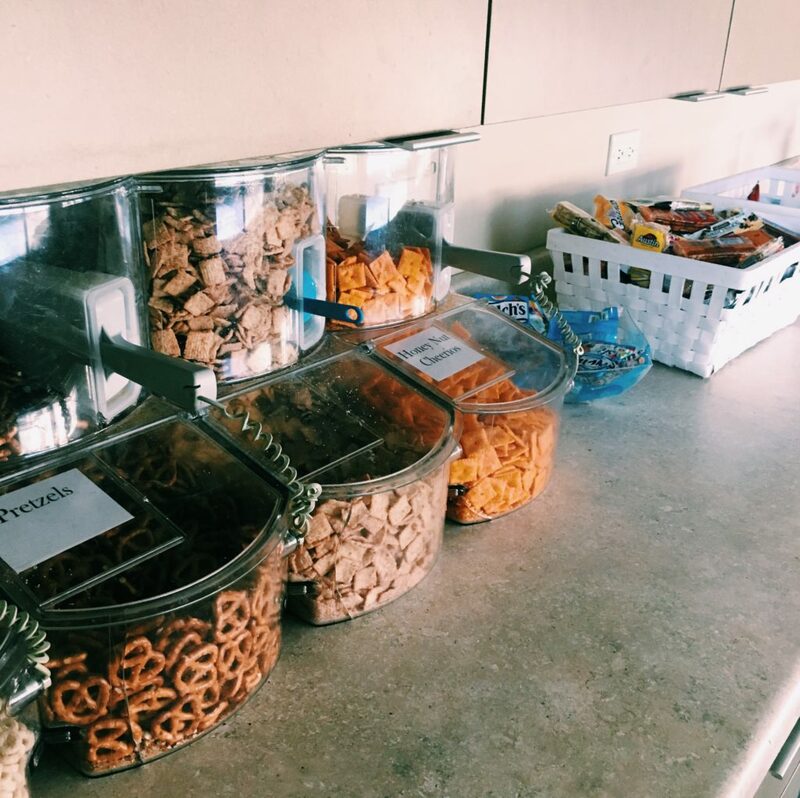 They have free snacks like Cheez-Its, Cheerios, Red Vines, pretzels, Gold Fish, and more. Plus, the had fresh coffee every day and usually had RedBull. On days that I wanted to bring my own lunch, they have a huge refrigerator for everyone to use, a microwave, and utensils. It made it feel like the kitchen space of any other office! I had a great experience testing out the space at DeskHub. It was affordable, in a great location, and had great perks compared to working from home. However, I do wish that the interior was a bit more modern and ‘grammable (because everything has to be these days lol). I probably should have gone out of my way more to network while I was there, but now I know that for the future. Have you guys ever tried out a co-working space? What has kept you from trying it? Leave a comment in the space below! I recently just joined a coworking space and it’s so worth it to me. I get so much more done for my blog there versus at home where I hear the siren calls of Netflix beckoning me 😂. Wow. I love reading your post. I want a working place as awesome like yours. And that “balloon room” meeting space ceiling, i thought i was looking in a museum. Very very nice, it makes you feel like you are just vacationing in Scottsdale and not working at all. I love your job already. Thanks for sharing your experience.